The Definitive Guide To Legal Marketing. Marketing is often a contentious topic at many firms. For some, marketing is where you go to get a brochure designed or perhaps organise the Christmas drinks reception, whereas for others marketing has a strategic dimension and is involved in charting the future direction of their firm and finding new ways to grow. To us none of these views are wrong, however, we believe that we need to take a step back and take an all-encompassing view of how marketing can help your law firm to grow. In this regard, we have prepared this "Definitive Guide To Legal Marketing" to delve a bit deeper and guide you through the key aspects of what makes law firm marketing successful and achieve a return from your marketing investment. In other words, no matter what initiatives are being employed, marketing should be at the table when the strategic conversations are being had, whilst at the same time delivering excellence through everything marketing does in order to deliver quality leads for the firm to win new business. With this mindset we believe that everything else will fall into place! Why Do Legal Services Firms Need Marketing? How Do You Want Your Law Firm Positioned In The Market? Who Is The Target Audience Of Your Legal Practice? Why Do Law Firms Need Marketing? As previously mentioned, marketing a law firm isn’t easy. To begin with, there is the old argument that marketing just doesn’t work and it is simply a needless expense. Apathy towards marketing in law firms can be a dangerous thing and to be brutally honest about it, no matter what your firm is doing, you are still marketing your practice. Even if right now you are doing nothing, people are still building an impression of your firm and what you’re all about. If you want your law firm to grow and improve its position in the marketplace, take positive action now and own marketing at your firm. One of the first tasks to consider is to take a quick look within and understand a bit more about WHO your law firm is and what it is you actually stand for. Positioning is very important as this is your stake in the ground as to who you are and what you want people to think when your firm’s name is mentioned. Get it right and you will create something to align all your future marketing efforts with and bring a focus to everything you do. In other words, Positioning is the first step in terms of bringing a focus to your marketing investment. Time to nail your colours to the mast and define who your firm actually is and what it is you stand for. Are you a full service law firm or a boutique firm focused on a small number of key areas? Is your legal business local, regional, national or perhaps international? Who do you do your law for? Are you focused on a specific vertical, such as Maritime or Construction? What’s so special about your firm and the way you do things to solve the pains and challenges of your clients? If you can answer questions such as these and draw up a succinct Positioning Statement for your law firm you are well on your way. Make sure that everyone in the firm understands your Positioning Statement and can align their behaviours and actions with it. All your future marketing should also align with your Positioning Statement to ensure your external audiences begin to understand what you’re all about. 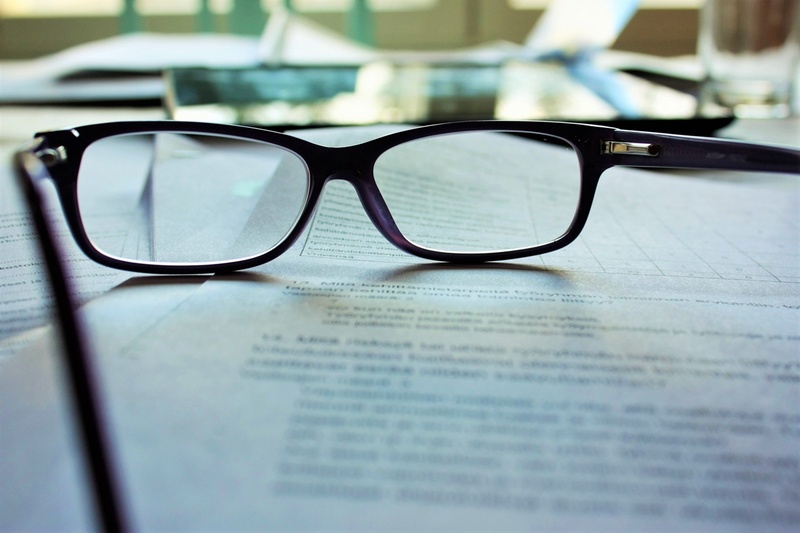 If you are interested in receiving a copy of the template we use in order to prepare a client’s Positioning Statement, please visit the Legal Marketing Resources section on our website to download a copy. For any marketing or business development activity to be successful you need to know what and who you are aiming at. A clear and succinct Positioning Statement is a useful starting point in this regard, however, moving on from this it is important to nail down who it is you are actually targeting and. develop what we call Client Persona's for the various groups of clients you work with. Where do they go for information and advice? What do they type into Google? A Client Persona isn’t a real person, but if you look at your Positioning Statement and understand your chosen market you should be able to identify a small number of similar groups of people. Take these 3, 4 or 5 groups and make up a name for them. For example, how about “Peter Partner” if you want to target the Partners of Accountancy firms? Once you have done this gather up as much information as possible from available sources so that you can map out who this person is. Remember they aren’t a real person, although, they are a semi-fictitious representation of the typical people who make up this group based on your knowledge and data on the area. If you take the time to clearly identify your Client Personas for your firm all future communications, be they PR, a blog or an advertisement need to appeal to and resonate with these client personas. This is only a snap shot of the types of questions we cover in our Persona Workshops with clients. If you would like to receive a copy of our Client Persona Workbook, please visit the Legal Marketing Resources section on our website to download a copy. Taking the time to understand a bit more about your firm before you commit to any new marketing initiatives is a very worthwhile investment, however, before you start, have you established a baseline? To know if your future marketing initiatives are going to be effective it is important to establish how your law firm has been performing to date and set key metrics going forward. With your analysis and baseline complete perhaps you should think about developing a monthly report to show performance against each key metric as this could be a useful way to demonstrate the effectiveness of marketing at your firm? A regular marketing report can also help to track what’s working/ not working at your firm and therefore help to inform future marketing decisions. With a better handle on what works at your firm versus what doesn’t this will allow you to reduce expenditure on the least performing initiatives and invest more in those that actually work. If you want to avoid those “Marketing just spends the money we make” comments try to invest some time and effort into building processes which will help to demonstrate your firm’s marketing effectiveness. Taking an analytical and informed approach to marketing your law firm can only pay dividends - especially in helping to convince the detractors to finally get on board and see how you are taking a strategic approach to business and actually interested in delivering a return on investment from the firm’s marketing dollars. No more, "You just spend the money we make" arguments! It can be all well and good pontificating about the various tactics you need to employ in order to help your law firm to grow, however, if your marketing is simply a series of tactical initiatives you run the risk of being viewed as an ad hoc department which is reactive to the world around it. Step it up and develop a marketing plan which sets out your marketing strategy clearly and then deliver strongly against it. Having a marketing plan is also a very useful weapon to judge any of the ad hoc requests which will come your way over the course of a year as a robust plan can help you to decide whether or not to progress a new opportunity based on the objectives and budget you already have in place. For those who are considering developing a Marketing Plan for their law firm we are often asked, “What do we need to do to market our firm?”. Whilst on the other hand a lot of marketing teams are just out there ‘doing’ things with no clear focus or alignment to the key strategies their firm is trying to achieve. Their focus is to simply deliver a great job. This is admirable, however, to really succeed they need to step back and develop a strong marketing strategy. Based on our own experiences working for consulting with numerous law firms we see a lot of firms like this just jumping in and doing things. To break this “Just Do It” syndrome, we like to use our three phase Marketing planning model — Thinking, Doing and Measuring. The ‘Thinking’ phase, as its name implies, involves thinking through and understanding where your firm is now and deciding what it is you want to achieve in the future. Get started with some rigorous analyses to understand what you’re dealing with. What are the External Factors facing your firm? Have you any Internal pressures which could impact on your plan? Who are your existing clients? Do you know who the Top 25, 50 or even 100 clients are at your firm? Who are you up against in the market? What will this all cost and what return do you need in order to achieve the objectives you have set? Speaking of objectives, can you list your top objectives for the year ahead? What is it you are trying to achieve? As you lock this down you can start to form an opinion on your marketing strategy - How do you want to be positioned in the market? Who is your Target Audience? Do you know what makes them tick and are you able to map out three or four Client Personas? Often when plans are being developed a lot of energy goes into the analysis stage and a bit of ‘paralysis by analysis’ kicks in. We find that if you break it down into where you are likely to win new work you can develop clear plans for each. A lot of plans focus on just trying to work out how to win new clients, whereas in reality a lot of your work will most probably come from your existing client base and referrals from other professionals. Very few plans take this into consideration so why not break the mould and set objectives for each of these areas? It isn’t always practical to introduce a new practice area and it can often take seven to ten years to get it bedded into the fabric of your firm. Despite this, there may be new areas of law or even changes in the law for practice areas you already offer. These can be great areas for your marketing to focus on as they are topical in the minds of your audience. Address these areas and this will position you clearly as a firm which knows how to address the challenges your clients / prospects are focused on. This is where the rubber meets the road for your law firm marketing plan. What is it you are actually going to do to achieve the objectives you set during the Thinking phase? Think about each objective you have set for your firm and think through the six main ‘Marketing P's’. We aren’t the biggest fans of the four P's, or five P's, or six P's, or seven P's or how ever many you want to have, as we feel they give a false impression that this is all that marketing is about, however, when included within the context of an overall plan as we have described in this chapter they do have their place. As you can see already, we strongly believe that marketing is both a Strategic and an Operational function which needs to break away from just the ‘Doing’ bits and pieces. To be taken credibly marketing needs to show leadership through strategy, deliver excellence through marketing initiatives which generate leads and be taken seriously due to a strong focus on delivering a return on investment and being part of the strategic debate within a firm. What services does your practice offer? Are you a full service firm or niche? What makes you stand out? Have you nailed what your Client Proposition actually is? More importantly have you decided which practice areas you need to focus your marketing activities on? Which area brings in the most revenue? Is it self-sufficient or does it rely on marketing to bring in the leads or do you need to focus your firm’s marketing on other, smaller practice areas with growth potential? These are key questions you need to ask and by taking the time to do this will help you to bring a focus to your marketing activities. Unless you are a huge firm with marketing managers for each individual practice area or you are a smaller niche practice focusing on just the one area of law, you will need to prioritise your marketing expenditure on either supporting the key areas of your practice or focusing in on the areas you want to grow. Pricing in a law firm is very rarely the remit of the marketing team but it doesn’t have to be this way. OK, you may have a rate card and you may have an hourly rate but is there a pricing policy in place for marketing initiatives? Could a marketing campaign have a discounted offer to generate leads? On the flip side, can marketing develop pricing strategies to deal with long-standing clients who purchase several different of services? Maybe an incentive for using other areas of the firm or a loyalty scheme for clients who have been with the firm for a long period time and/or bring in repeat business. Does your firm have a discount policy should a new client push back and ask for a reduced rate? There are a lot of different ways in which marketing can add value to pricing in a law firm - just make sure your marketing team is allowed to be a part of the conversation! Lastly, if you do develop a number of tactical pricing initiatives make sure you tell your clients. So many firms decide to apply a discount but never tell their clients. They think to themselves that for whatever reason they will only charge their client £$€ but never tell them why. Always make sure to state your full fee along with the discount (and reason for it) below. This way your client can hopefully understand and appreciate your gesture. Promotion (or Communications) is where the focus usually lies in a marketing department. We need an ad for a magazine. Let’s do a flier. How about we get into the newspapers with some PR? Let’s do a new website. How do we promote the firm online? The largest proportion of marketing budgets within law firms is usually spent on promotion as it covers a lot of different areas such as those mentioned above (and more). The key is to know where your audience is so that you can promote your message effectively. i) the majority of marketing expenditure is spent just because it was spent last year and the year before and the year before that. Why risk raising your head above the parapet and do something that doesn’t work? If it ain’t broke don’t fix it! Sorry, we completely disagree with this mindset... Marketing should be innovative and we feel that it is allowed to make the odd mistake. The only way to know what works for your firm is to systematically try different initiatives and see what works. Forget being defensive about getting it wrong and actually celebrate that you now know it doesn’t work. Quit with the other partners making jibes as well. If you still aren’t sure and want to hedge your bets, at least set aside a percentage of your budget to try something new each year (or maybe even each quarter). ii) the other area where marketing expenditure is wasted in law firms is ego. Too much law firm marketing is focused on either matching another firm or trying to make yourself look good in front of them. Sorry, but other law firms don’t pay your bills - your clients do so focus on where they are and what they might want. Focus in on this and your marketing expenditure should begin to achieve a better return for your firm. Law firms typically conduct business from their offices and attend Court or client meetings during the course of their day. As technology continues to develop it will be interesting to see how the legal sector continues to move away from this and become more reliant on an online presence. Whilst this will be more applicable to some areas of the law than others, even now for some areas, such as personal injury claims, clients may never meet with their solicitor and interact entirely via letter, telephone and email. Another interesting development for law firms, which we will explore in depth later in this document, is how law firms are marketing their legal business. 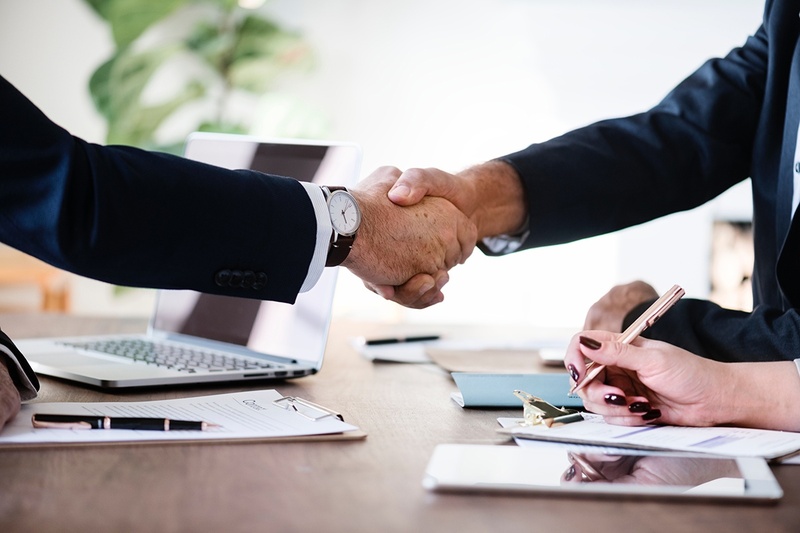 Traditionally, law firms would rely primarily on word-of-mouth marketing and other activities such as getting out to meet people or raising profile through the press. Developments in online marketing techniques now allow more progressive law firms to invest in online marketing initiatives which will generate leads and deliver measurable results. Finally, marketing is moving from an intangible cost to something which can be quantified and the return on investment measured. Another area often over-looked in law firm marketing plans is People. Usually seen as the preserve of the HR department, marketing rarely considers the ‘People Agenda’. Legal firms are in the business of selling People who have the expertise to perform a particular task on behalf of their clients. So has your firm conducted a GAP analysis to see where you have good representation and other areas where you need more? Perhaps a strategic hire could be the basis of a particular marketing initiative? Don’t over-look people when you think about marketing your law firm. Think of ways to help promote them and their skills. It could be through regular legal updates, blogs, entries in legal directories or perhaps a really good LinkedIn profile? If you’re really going for it you could even consider a regular podcast on the specific area of law they excel in. Process is so important as it is how you conduct your business at the end of the day. Lawyers aren't noted for their communication skills and adopting a legalistic tone isn’t always best when it comes to communicating with your clients in a marketing sense. What processes do you have in place to onboard a new client? Do you gather any details to help with future marketing? Do you log key information and pass this to specific individuals in your team? When a client leaves do you ask them why? One consistent theme we see is that lawyers like to communicate very formally with their clients. This is fine for legal matters, however, we have often seen this translate into a slightly condescending tone for ordinary, run of the mill communitcations which can alienate a client and leave a bad taste in their mouth. You are their lawyer at the end of the day and they are buying your expertise, however, this doesn’t mean you have to talk formally to them in your marketing. Perhaps you should invest some time and thought into your onboarding processes and client communications for a smoother client experience? Yes, you should have a client services agreement for a client to sign but why not look at the tone being used and see if it is very formal or old fashioned? Yes, you need to ensure the legals are correct, however, soften the feel of the document and make sure it is more in keeping with your brand. If you want to be known as a modern law firm with a progressive outlook on the law then why hit them with a 47 page client engagement letter complete with all those 'Hithertos', 'Therefores' and 'Hereafters'? This may not convey the brand values you want to be known for, so why do it? If you want marketing at your firm to be taken seriously (and continue to receive a budget! ), you need to be able to prove marketing’s worth. Don’t rely on the finger in the air approach. As your firm continues to grow there will be competing pressures on budget and you will need to be able to justify your expenditure clearly. Follow the steps in the list below to make sure you have a systematic approach to reporting marketing performance at your firm. Will you have regular team meetings to review progress, track performance and sign off on budget expenditure? Perhaps even a steering committee for the marketing department to report to on a regular basis to give updates on campaigns, projects and performance towards achieving each objective? With regular meetings in the diary and clear accountability you should have good insight over the course of the year as to how marketing is performing. No more leaving it to chance and then blaming the team for not performing at the end of the year! A lot of things change during the course of a year and your marketing will need to be able to cope and adapt with the changing landscape. No plan should be set in stone and you should allow for at least 20% to 30% of your plan to change due to the unexpected happening during the year. 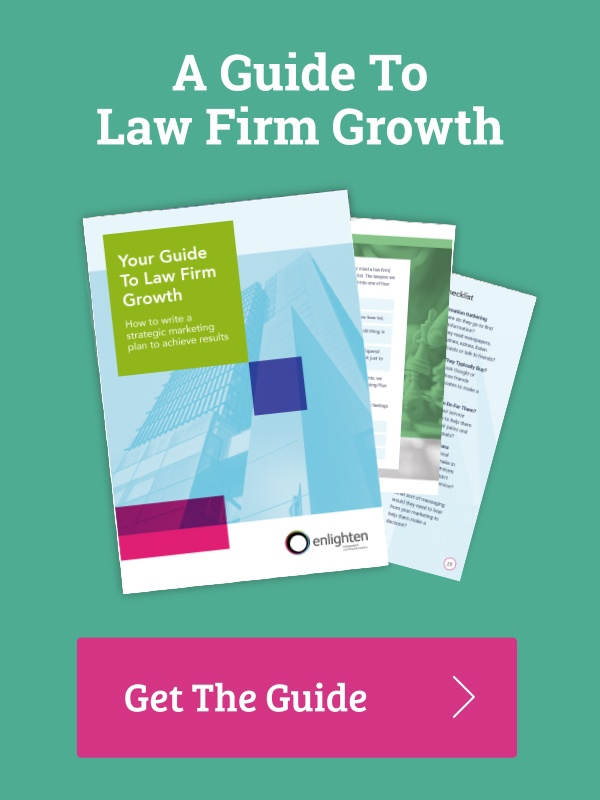 To find out more about how you can build a law firm marketing plan to help your firm grow, please visit our Legal Marketing Resource section to download our Guide to Writing A Law Firm Marketing Plan For Success. You may also be interested in our Law Firm Marketing Plan Checklist - a one-page, ready reckoner to keep you on the right lines which is also available in the resource centre. Now that we have looked at building a Marketing Plan for your law firm we need to look at how we put this into practice in the real world. There are so many different aspects of marketing it can be difficult to work out where to start. In professional services firms, such as a law firm, people still buy people so no matter what you do you will need to get your lawyers out from behind their desks. Sure, your lawyers may want to fly a desk and bill lots of chargeable hours, however, if you haven’t got a good source of recurring work you will eventually run out of work to do and need to get out there and find some more. Rather than treat this as a sequential task whereby you do some marketing, do the work, do some marketing, do the work it is best to mix up your time. 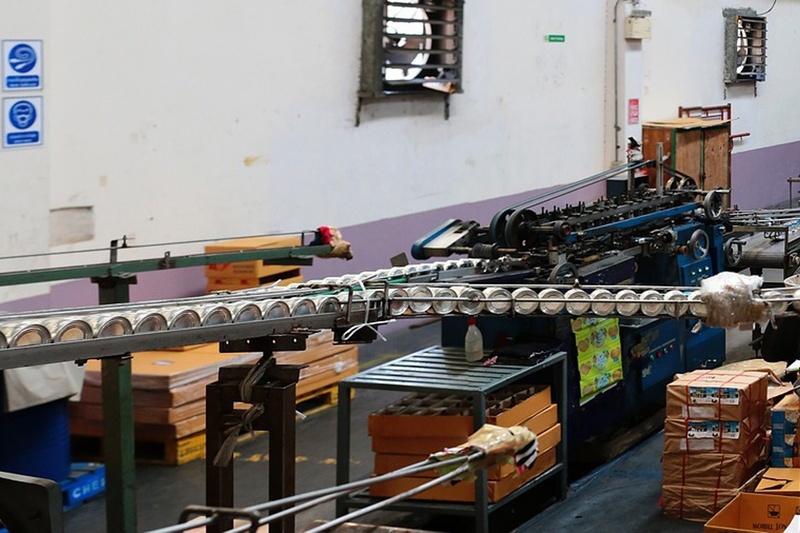 It can be all too easy to win a piece of work and go into delivery mode, however, when the work is finished you will have a gap before you find the next work. Try to “always be marketing” so that you have a continual source of work coming through for you and your lawyers. To help with this we have listed below some of the great real-world methods of generating new work in law firms. There are a number of ways to get out and meet people to win new work. So, once again, who are you trying to target and where are they likely to be for you to have a chance of meeting them? The purpose of this ‘Meeting People’ strategy is to find ways to network with new prospects; entertain existing clients; be seen as a thought leader; and/ or raise the profile of your firm. A great place to start to get your lawyers out from behind their desks and find new sources of work is “Association Marketing” and is especially true if you are marketing your firm locally. Join the local Chamber of Commerce, Rotary or perhaps even the Institute of Directors. If you are focused on a particular vertical there should be at least one Association dedicated to this industry. Some of these may be national organisations which can be useful to join, however, they may not have as many events within a reasonable distance for you to attend and network at. If you find an association you are interested in join it, attend as many of their events as possible and once you begin to get a good feel for the association why not try to join one of the sub-committees? Joining a sub-committee can be a useful trick to force yourself to attend more events and also get you noticed. For your firm why not draw up a list of useful associations and assign different lawyers to different associations. This can be a good way to maximise your firm’s profile across as many associations as possible. Lastly, make sure you avail of all of your members benefits. There may be the opportunity to submit a short profile in the association’s magazine or even the ability to set up an online profile. This can be especially advantageous for SEO purposes and getting high quality links back to your website. Moving on from Association Marketing, you should draw up a list of as many relevant events as possible for your lawyers to attend. Once again, it would most likely be cost-prohibitive to attend absolutely everything in your area nor can you send everyone to the same event, so draw up your list and find willing participants in the firm to attend each. Examples of events for your team to get out and network at are Business Awards, Charity functions, Association Annual Dinners, etc. Perhaps even a local Sporting event such as Rugby, Horse Racing or Cricket could be a great way to get out and network for new business. An added bonus of this approach is that you can usually take a table, a corporate box or simply purchase tickets to sit in the stand. This will allow you to entertain clients at the same time. A good way to give something back to clients is to work out what they are interested in and take them to it. It could be to a dinner or a sporting event as previously mentioned, although whatever it is, mix it up. Take seats at the Opera, Orchestra or maybe even an Art Exhibition. Just take the time to think through what your clients might be interested in and where your audience is likely to be. It is also important to note that a lot of events that lawyers attend are the same old, same old so make sure you try to do something different every now and again. Don’t get stuck in the same old rut and be especially careful of only picking male dominated sporting events. Your practice will no doubt endorse equal opportunities in the workplace so make sure your events reflect this as well and that it isn’t the same old faces for tickets to the rugby or golf every year. Give everyone the chance to take part! Hosting your own events can be quite limited owing to the time and cost of actually organising your own event, however, this doesn’t mean you can’t or shouldn’t do it. Think about the types of event you would like to host. Would you like to host a regional event for an association one of your lawyers is involved in? Perhaps if the Olympics or World Cup is coming up and the times are right you could hold a pizza night or breakfast event to invite clients into your office? On a legal note perhaps you could organise a series of Employment law seminars or a meeting for local businesses to attend to discuss the implications of new legislation? There is such a wide range of events you could host in order to meet with new prospects, entertain clients and raise the profile of your firm. The best thing to do is to select the areas you would like to feature in, plan a number of events, cost them out, set aside a budget and then assign someone with the responsibility of making it happen. Another method of using events to your best advantage is to source a number of speaking engagements. This will give you a platform to talk about your chosen area of law and help to position you as a thought leader. Owing to your own particular expertise in an area of law you may be invited to speak at some conferences for free, whereas others may be more commercially focused and require you to pay for the opportunity to speak. If you get the chance to do this and it puts you right in front of your target audience you should give it serious consideration. A lot of new client engagements can be found this way. So prepare your slides, keep them short, have them well branded with your firm’s name and include a Call to Action such as a link to get a copy of your slides, a special offer, your contact details or even your social media profile. Speak clearly with authority and make sure you don’t just arrive, make your presentation and leave, get there early, meet people over coffee and stay for lunch. Depending on the topic and the audience you may end up being the centre of attention and if people have questions you could offer to meet up wth them after the event to discuss their particular circumstances. i) A small (usually local) sponsorship which you will get involved in owing to a particular interest by one of your lawyers. An example of this would be if one of your lawyers is involved in a local club and they have a fund raiser which you could sponsor or perhaps your local football team needs a new strip which you will pay for in return for your logo to be put on their shirts? These type of sponsorships are low-key, tend not to have much of a return and are usually low cost. The trouble is that as your firm grows there will be more and more of them and it can be difficult to say yes to one and no to another. You will need to decide how to manage this as you don’t want it mushrooming so much that your entire marketing budget is swallowed up by low-key sponsorships such as this. You could be quite ruthless and say that as there are so many such a little return that you will do none, or you could agree an overall budget for this type of activity and then split it up equally across the firm. You could rotate this on a yearly basis or perhaps sign up to things on a three yearly cycle in order to give everyone a chance? Whilst the return is often low these type of events usually help to connect you with the community and also engage your team more, so it is better to do something rather than nothing at all. ii) A specific sponsorship for a specific business reason. This will most likely cost a bit more but can cover areas such as sponsoring a conference or an awards ceremony and will usually come with a list of benefits such as a table at the event, tickets to something, a speaking engagement, an exhibition stand, a profile in a conference document/ website or branding opportunities. Try to maximise your benefits package and the price you pay as quite often things aren’t written in stone and you may have the opportunity to get a few additional benefits thrown in or the price discounted if you agree to a three year deal. Don’t just take it at face value but if you do commit to something, make sure you make the most if it and put in the time and effort to maximise your return. iii) A sponsorship in support of Corporate Social Responsibility. Most law firms try to give something back to the communities they are involved with and whilst some of the smaller sponsorships mentioned in the first point are in effect CSR, this type of sponsorship is more in line with a major sponsorship deal. 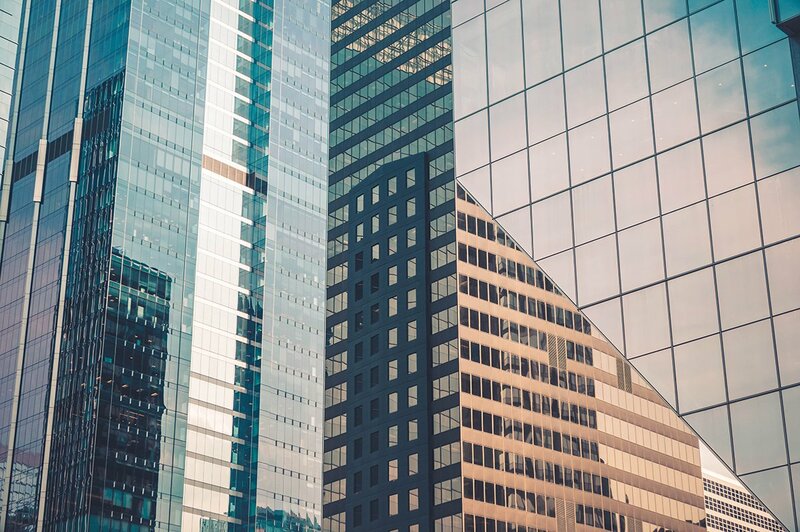 Whilst you may want to give something back to the areas you are interested in you should still look for a business angle in order to justify your investment. For example, should your law firm decide the Arts could be a good hunting ground to meet and entertain your audience you may opt to take a major sponsorship in the Arts world. Perhaps a sponsorship related to an Orchestra, a Gallery or Entertainment Venue could have spin off opportunities such as events, exhibitions or recitals for you to invite your audience and clients to? If you do decide to go down this route make sure to remember to negotiate a good deal. Don’t get carried away with your CSR agenda and if you can’t negotiate a better price, make sure the organisation throws in as many opportunities as possible to promote your involvement. This could include some, if not all, of the following - branding, merchandising, tickets, receptions, acknowledgement at events, private performances, social media, website branding, etc. To maximise your return from sponsorships such as this you may be able to negotiate a better deal if you agree to a three year commitment. Whilst event marketing will help to raise profile with a specific audience at the event, there will likely come a time when you will want to do something to raise the profile of your firm systematically rather than just leaving it to chance. Public relations in law firms can be a very effective way to do this and depending on your resources you may want to engage a PR agency to drive this agenda for you and to advise you on the best way to achieve this. As mentioned previously, events can be a great way to raise profile with the people at the event and quite often will come with the opportunity of getting featured in photographs, press releases and/ or the event materials, however, having a PR plan and knowing the areas you want to profile, developing your message and then proactively getting out there to secure coverage in a newspaper or magazine will pay dividends. Perhaps you will want to profile a senior appointment, the launch of a new practice area, an office move or alternatively, you may have chosen two or three areas of the law you want to be known for in the local market and have secured a regular column in a newspaper or several articles in a magazine? There are a number of different tools at your disposal here but if possible identify a journalist with an interest in your particular area and get out there and meet them. Find out what they are interested in, and in particular, find out how they like to work, how they like to receive materials and when they like to be contacted. 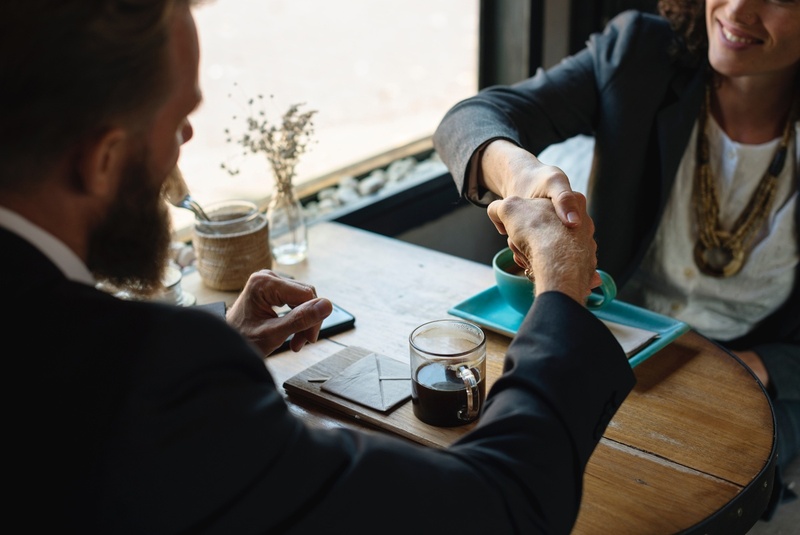 If you have appointed a PR agency tell them you would like to do a few ‘meet & greets’ and they can guide you in this process and make it happen. Other PR ideas to help raise profile may include a deal release to announce the particular details of a large deal you have advised on, however, whatever you do make sure you have obtained all the necessary permissions beforehand! Lastly, if there is a topical area of the law or new legislation on the way why not put together a short document to advise local journalists on the key issues at play. You could send this to just the one journalist to try and secure an interview or you could send it to a few journalists and follow up to see if they would be interested in an article. Some law firms base their entire marketing efforts on winning a set number of awards so that they can say that they are the leading ‘this’ and the top ‘that’. Whilst winning awards have their place not everyone can win so don’t spend all your marketing time and energy on winning them. It is also worth remembering that as well as the very specific legal awards there are a lot of general/ business awards which can offer a good level of profile for your firm. Perhaps applying for awards such as these will help to raise your firm’s profile better with your target audience? Areas such as top employer, business growth, investment in IT, marketing awards, corporate social responsibility, environmental and individual lawyer awards may be available in your region for your firm to enter. Legal directories are quite an unique phenomena in legal circles. Whilst some law firms may be too small to enter others are passionate about being listed in the likes of Legal 500, Chambers & Partners or Martindale. If you do decide to go down this route, a clear, methodical approach will work best. The more organised you are the better as each directory will have their own editorial schedule for you to stick to. Some will want a firm-wide submission in one go, whilst others will have deadlines for different practice areas each month. Contact them and find out how they work and the timetable they will be sticking to. Do they have someone responsible for your area of law or perhaps even your region? Get to know them and whilst it won’t influence your rank it may help to make things easier. Once you make your submission the directory may want to visit or arrange telephone interviews with a number of your key lawyers. Whilst your lawyers are busy people please facilitate this if you would like to rank well (make sure to give your lawyers a copy of what was submitted and take the time to brief them in advance as well!). For some directories it will also be useful to have several clients lined up to give a reference and be willing to speak to the researchers as well. Finally, and it goes without saying, never be dismissive of another firm. Yes, the directories will ask your peers about you as much as they will ask you about them, however, be professional and courteous and if you don’t have anything good to say about a firm or a lawyer, say some good about someone else! It can take time to get ranked in a legal directory. Generally this is because they are compiled annually and if you miss one you will have to wait another year for your next chance. It can also take a year or so to understand some of the nuances of each directory and establish how they work. The best thing to do is just think of a legal directory as a tender you must submit and will never win but it might just help you to win new clients in the future. It goes without saying that to win some types of work you need to submit a tender document. Whilst tenders can take up a lot of time and effort, if you are going to do them, you may as well do them right. Have your marketing team keep up-to-date firm profiles, golden paragraphs for each practice areas and tailored CVs for each lawyer. Sometimes a lot of time and effort goes into producing these basic elements of a tender that not enough time is left to think about the legal methodology being proposed and addressing the key points of the tender. At the end of the day, this is how your firm will set itself apart from the rest and demonstrate how it will deliver whatever it is the client wants them to deliver, so make sure all the basic information is prepared in advance to allow more time for your lawyers to think creatively. It is also worth checking that your firm is on all the relevant tender lists so that you are notified of any new tender opportunities. In a similar vein, make sure someone is tasked at your firm with scanning the local newspapers and/ or websites regularly for notices regarding the latest tenders. As well as responding to tenders, you should try to find a systematic way of being able to respond to client proposals. Treat each request for proposal as a mini-tender opportunity and have the ability to pull together all the relevant information as quickly and easily as possible. Lawyers quite often have experience working across different industries so maybe try to hold different CVs tailored to the specific industries they work in? It may be difficult to do this from scratch but overtime this can become a very useful repository. Lastly, whether you win or lose, pick up the phone and ask why. You will always learn something new. 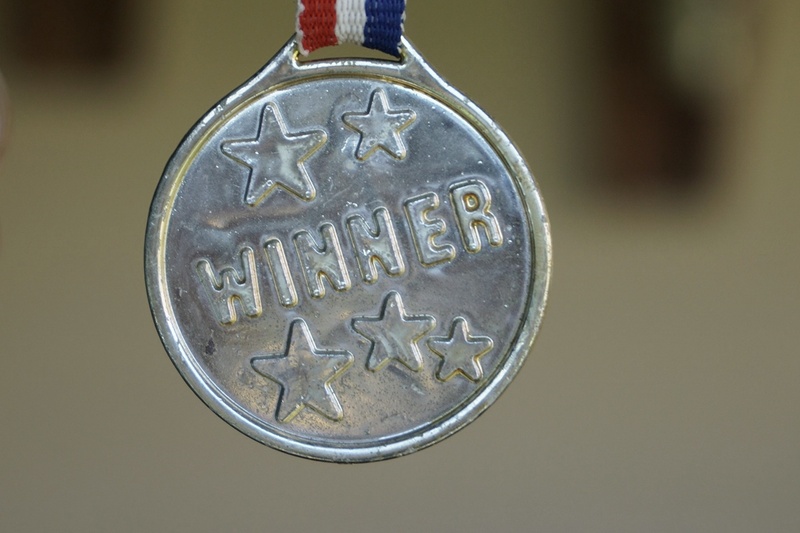 Was your winning proposal miles ahead or was it a close race between you and another unnamed firm? On the other hand, where did you lose the tender? Despite what you tell the managing partner it can’t always have been about price! Keep these notes in a central place so that you can access them when a new tender opportunity comes in. It can be very useful intel to know why you lost (or won) a past tender for a specific client or sector before you complete the next one! Do you provide legal services for your clients or do you provide great legal services? If you do happen to provide great legal services, how is someone going to know the quality of your work before they spend their money with you? Think about your own purchasing behaviours. Do you ever look online or ask a few friends about a particular company before you purchase something from? This is particularly important when purchasing professional services such as legal because the quality is in the people and it will be the quality of their advice which sets them apart. Yes, how they deliver it and how much they deliver it for is also important however at the end of the day, people need to have comfort that the firm they employ will deliver exactly what they need. Start by asking some of the regular clients you have a good working relationship with if they would be willing to provide you with a testimonial. If you can build up a good bank of testimonials this will be very useful for your website as it will provide ‘social proof’ that you know what you’re talking about. Testimonials are also useful in proposal documents so make sure you have a good spread of testimonials across different industries and for different practice areas as well. Unfortunately when lawyers go to law school they don’t learn about marketing. You may well have a marketing team in place, but in the legal sector quite a few of the marketing skills also need to lie with the legal staff. Perhaps a few short training sessions could go a long way to improving the skills of your lawyers rather than leaving it just to chance? In a law firm you will make it to partnership for two reasons, i) you are a very good lawyer, and ii) you are a great rainmaker. Rainmakers are fine as they know how to find new work, however, most firms are lucky if they have a handful of these people. So what about the rest? What can you do to improve their marketing and business development skills? To begin with, it is very important to start off and ensure everyone in the firm is on the same page. Make sure everyone understands what the firm stands for and the vision for the future. It is very important that all staff (legal and non-legal) understand this and know the values which epitomise the very essence of the firm. Understanding the firm’s identity will go a long way when out looking for new clients for the firm and deciding on whether they will be a good fit or not. This applies to recruiting staff as well! Other key skills which can always be improved upon include training to help lawyers network a room. Perhaps organising an annual session on this will help everyone to refresh these skills? Not everyone is comfortable networking a room so learning a few strategies can go a long way. Other useful training opportunities could include training on ‘presentation skills’, ‘negotiating’, or ‘winning a new client’. Training is a constant task not something you do once and be done with it. Try to organise a series of interesting training events for your lawyers throughout the year. Maybe even quarterly to begin with (and don’t forget to have it registered for CPD). So much is being said about law firms getting online, but very little is out there on how to actually do it effectively. As usual, there is all the razzamatazz about getting a website, being on social media and having a content marketing strategy, but step it back a bit and make sure you are doing these things for the right reason and with clear objectives from the outset. 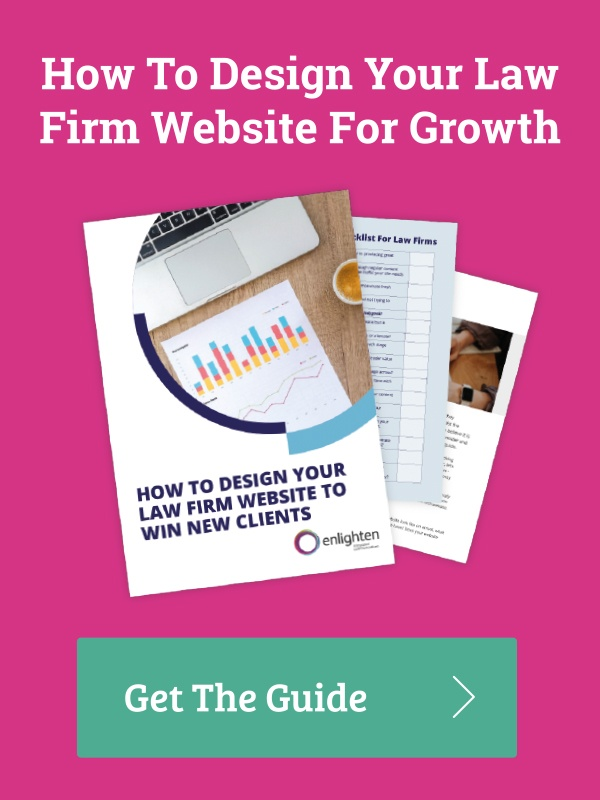 It goes without saying that to be a successful law firm nowadays you need a website, although this doesn’t mean that all law firm websites are great! Do you just want a website because you were told you should have one? Do you just want a website to make you look good and be an online brochure for your firm? Do you want a website that generates high quality leads which may turn into new business for your firm? To be honest, we aren’t really interested in either of the first two options because no matter what marketing we get involved in we want it to generate leads and help grow your firm. So how do you generate leads from your law firm website? Let us now look at the various tactics which can be employed to generate leads for your firm. First and foremost, what does your website actually say? Is it a static website which never changes (why would someone want to or need to come back?) or is it a website with lots of legal updates, blogs, news, events, etc? If you have taken a strategic approach to your marketing and know exactly what you want to achieve it should be quite easy to develop a plan of all the necessary content you are going to need to post on your website for the months ahead. Of course things may change but it would be useful to sketch out all the areas you are focusing on which tie back to your overall strategic marketing objectives. Once this is done think about what you might be able to write about over the course of the year ahead and break this down into quarters and then months. If your firm is large enough you can split this up amongst your fee earners and marketing team, however, some firms find that outsourcing their content marketing to an agency dedicated to writing content for law firms is much more cost effective. The key is to write as if you are writing to each of your client personas and address the pains and challenges they suffer. Do bear in mind however that the majority of people on your website won’t be in an active state of buying and need to employ your services right away. Owing to this you will also need to think about the various stages in the buyer’s journey and write content specific for each stage. 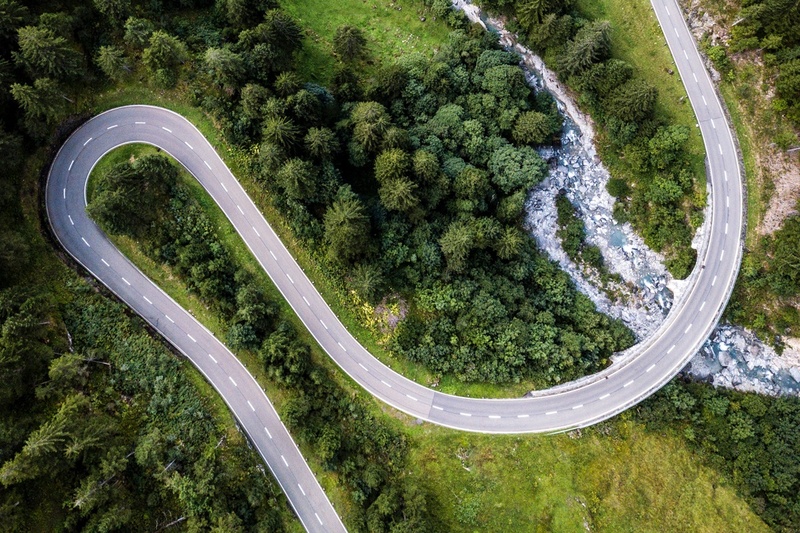 With the Buyer’s Journey it is useful to envisage three stages that each of your clients will travel through on their journey towards becoming your client. In the first phase, ‘Awareness’ your audience is trying to define what their problem actually is. This will affect what your prospects key into Google when searching for help so you will want your content to help them to define their problem. After the Awareness phase visitors will move to the ‘Consideration’ stage and now that they know what their problem is they will begin to search for what the various solutions to their problems might be. For the final stage in the Buyers Journey, visitors will move to the ‘Decision’ stage when they are finally ready to take the plunge and choose the firm they are going to use. As you can imagine, each of the stages of the Buyer’s Journey will require different types of content. A useful rule of thumb is that you should not use your firm’s name and talk about your services until a prospect gets to the Decision stage. Only then can you mention price and your brand as they should be ready to do business with you at this point. If you would like a copy of our Content Marketing Plan template, please visit our Legal Marketing Resource Centre to download a copy. So now you have a great looking website and regular content on it, is that it? Unfortunately this is just the beginning as you have only built the necessary assets to attract your chosen audience. At this stage no-one knows your content is there apart from a few eager prospects, your competitors and your staff. Law firms can often give up at this point as they develop their website, produce the content and then complain that no leads are coming in. The next step for success is to generate relevant traffic to your website in order for prospective clients to see your content. With more than a billion websites in the world you are up against a lot of competition, however, the good news is that you don’t need all of the world’s traffic coming to your law firm website. Again, this is about the power of knowing your positioning and the client personas of your target audience. With this knowledge you will be able to focus in and generate good quality content for your chosen audience and appeal to their individual needs and wants. Get the technical set up on your website correct Website Structure, Mobile Optimisation, CSS Minification, Page Speed, Sitemaps, robots.txt, 301 Redirects, etc. Address On Page SEO requirements Page Title, H1 Headers, Meta Descriptions, Internal Site links, Outbound links, Image tags, etc. SEO deserves a guide all of its own and there are some great websites out there to help you along the way. Don’t fall for the shiny, new things however and let people lead you astray with activities that don’t work or black hat techniques which could end up getting your banned by Google and not ranking at all. A lot of law firms report that they are continually under pressure to ‘be on Social Media’ and to build a community. This a great thing to do but if no-one knows the reason why it could end up just being a big waste of time and money. Don’t leave your Social Media unstructured or left to a college intern (who just because they are the right age to be using social media means they should automatically be entrusted with your social media strategy!). Now you have high quality content on your website post about this on your social media channels. Find which platforms your audience uses and post on these channels although avoid getting over-whelmed by trying to be everywhere on social media. Make a conscious decision to be on only two channels or maybe three at a push. Inter-mixed with your own content being published on your social media channels you need to think about posting about other general firm wide information. Perhaps your corporate social responsibility programme is worthy of a mention, recent promotions, or even events you are hosting or attending. This will take the ‘promotional’ edge off your social media and help to make your posts less about just you and what you are trying to sell. Another type of content to post on social media is about other people’s content. Obviously you don’t want to post about your competitors, however, look out for general economic news, legal news which could affect your industry, client news, etc and ‘curate’ this content by posting a short line about it and then linking to the original content. Whilst we don’t like the term ‘free traffic’, owing to the time and effort which goes into producing content, both organic traffic and social traffic are typically seen as ‘unpaid’ sources of traffic. The third type of traffic to your website does cost money, although it can be useful to speed up results and help to augment your traffic from organic and social media sources. Purchasing ads on the likes of Google Adwords will appeal to the ‘intent’ of the searcher and try to position a message which might appeal to them when they are searching online. Alternatively, you may decide to take ads on one of your social media channels such as Facebook Ads, Twitter Ads or LinkedIn Ads. If you don’t do any of these it would be worthwhile running an initial test by advertising something on all of them and seeing which channel is the most responsive (and cost-effective) for your firm. The beauty of Paid traffic is that you will get to see exactly what has worked versus what hasn’t. You will also have the option of ‘split-testing’ your ads. Split testing in its simplest form involves showing two versions of the same ad to your audience with only one small change. This could be the colour of a button, the image itself, a different headline or different text altogether. The idea is that if you run two ads in competition with each other you can drop the ad with the lower return. You can then move on to test the next element until you have optimised your ad completely and can put a good budget behind it. One rule of thumb we abide by is that if you are running traffic to a cold audience, i.e. an audience who doesn’t know you at all, it is always best to promote a blog post or some form of content which you think will be of value to them. This will hopefully have a better result than jumping straight in and trying to sell something or offer something to an audience who doesn't know you yet. There is of course a fourth type of traffic which we haven’t mentioned here known as ‘Direct’ traffic. Direct traffic can be defined as the people who already know you or at least know of you and will visit your website directly. Good branding and offline marketing can influence this so don't forget to try and drive visitors to your website from your traditional offline marketing activities. At this point some law firms will say, “Yes, we’re doing all these things but we’re still not getting any leads”. Whilst there are firms out there doing nothing there are also some trying to market their firm online but just not getting the results they expect. We see this most when a firm commits to blogging regularly or has an active social media channel and then they ask why they aren’t getting leads in. The trouble is that just doing these things on their own is not enough because at this stage all you are doing is using online techniques to market your practice in an old world, outbound way. The key driver to making a change and delivering results for your law firm online is to decide what it is you want them to do in order to become a lead and ultimately a client of your firm. So how can you get them to make contact and move from being a stranger on your website to providing you with their details and become a lead? The main tool at your disposal is what we like to describe as a ‘Call to Action’ (CTA) and is placed somewhere within your content (beside it, above it, below it, etc). In other words you have attracted your audience to the website and they have consumed your content - you now want to offer them something more. What other higher value, premium content could you promote via a Call to Action which would help to solve their problems and in return they would be willing to provide you with their details in order to receive it? To make this work simply add the CTA at various points on your website so that your visitors can see them. 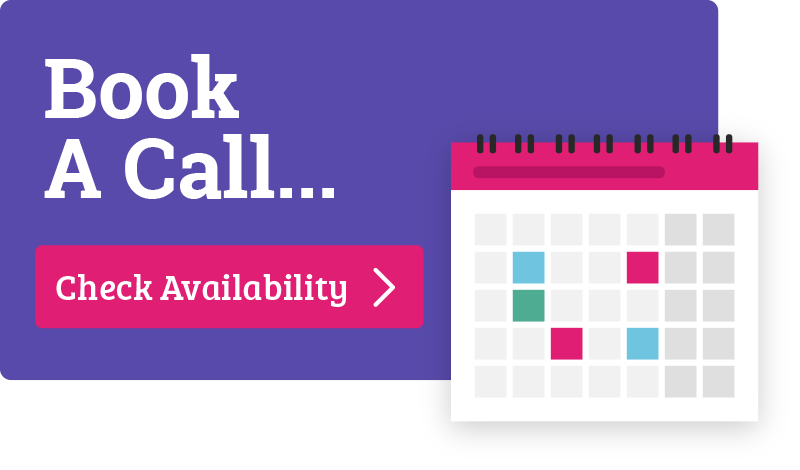 (Visit our Legal Marketing Resource Centre to download our 'Checklist Of The Best Places to Position Your Law Firm Calls To action'). On clicking the CTA visitors should be taken to a specific Landing Page offering only one possible action - i.e. to add their details in order to download the Premium Content they may be interested in. Completing the Form on this Landing page will usually take the visitor to a Thank You page to thank them for downloading the content. A Thank You Page can be used to make another offer or to ask them if they would like to set up a quick call to have a chat. Now you have their name and email address you have a real person and a real lead for your firm. It is what you do next which will determine whether or not they will become a client of your firm. Adding CTAs throughout your website to promote Premium Content. This, however, only deals with building something for people to see. To make things really work and allow the sum of the parts to be greater than the whole an Inbound Marketing strategy will help to take your firm's marketing to the next level. “Inbound marketing is focused on attracting customers through relevant and helpful content and adding value at every stage in your customer's buying journey. With inbound marketing, potential customers find you through channels like blogs, search engines, and social media. So rather than use old world marketing techniques which basically interrupts a prospect from doing what they want to do in order to place your marketing proposition in front of them, Inbound Methodology takes a different tact and works to earn the attention of prospects by developing content which helps them to solve their problems which will in turn bring them to your website and allow you the opportunity to convert them into clients. Instead of shouting your message at your audience, and hoping your message sticks, take the time to do the analysis and understand your audience; write content they will be interested in; and then use the traffic generation techniques we have already discussed to bring them to your website. Please remember that you are attracting them by helping to solve their pains not by promoting yourself and how good your law firm is. To keep things on the straight and narrow, we use a very simple methodology called the Inbound Marketing Methodology which basically starts with efforts to Attract visitors to your website; Convert them into leads; Close them as clients and Delight them as advocates of your firm. 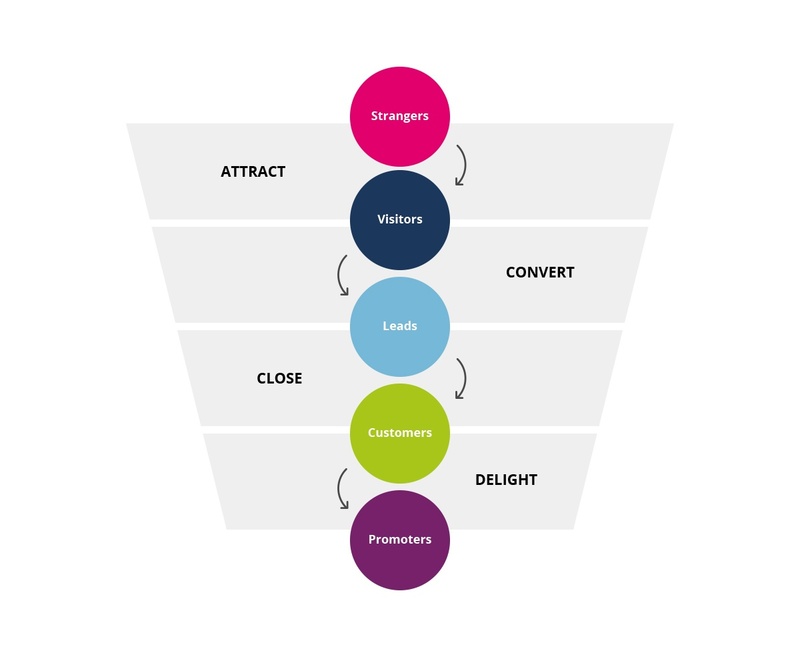 Another way of looking at the Inbound Methodology is in the form of a funnel which highlights how a prospect will move through a typical sales funnel on their journey to becoming a client. So as you can see, everything we have been talking about so far in terms of marketing your law firm online has been part of the Inbound Marketing Methodology, however, closer inspection will also demonstrate that we have only been discussing the first two stages, Attract and Convert. Most law firms are essentially pre-occupied with the Awareness stage and have nothing on their website to help Convert these visitors into leads. So far we have shown how the addition of Calls to Action and a Conversion Path will help to generate leads and take prospects to the Convert stage, although what can be done now to close them as a client? This is where the power of tools such as HubSpot and other marketing automation platforms come to the fore. First of, to deal with a number of leads coming in, you need to be organised. A robust Client Relationship Management (CRM) database is essential to collect a prospect’s details and act as a repository of what is known about the prospect so far. As well as including a CRM, Marketing Stacks such as HubSpot can generate a series of automated emails to be sent out to prospects based on their actions and meeting specific criteria. This should structured and designed to help nurture them and bring them forward as a lead for your firm. not spam them and actually alienate them during the process. Of course, Inbound Marketing and Marketing Automation can still be used badly and used to SPAM prospects, however, if done correctly everything should be designed to help solve the challenges your lead faces rather than simply sell to them. Workflows can be set up so that based on the various actions taken by your lead, specific emails will be sent and/or notifications will be sent to a business development / sales person to reach out and contact them. It may even be that if a lead has downloaded a piece of content and viewed several pages relevant to the topic that they are moved to the next stage and different emails are sent. The power of marketing automation at your law firm is really only limited by your creativity and ability to come up with the right ideas to help nurture your lead so that when they are ready to become a client and move to the CLOSE phase your team is ready to assist them. Leads may respond quickly or they may need to be nurtured over time. Having a workflow which issues a series of emails (in a non-Spammy manner) in a sequence based on their actions will have a much better chance of conversion rather than simply writing a blog and leaving it to chance that they will visit your 'Contact Us' page and get in touch. Just because a lead has decided to purchase your services and become a client this isn’t the end of the story. Over time you should try to nurture your clients so that they become comfortable advocating your services to someone else. There is no better marketing than having a client willing to extol your virtues to a prospective client and bring you new opportunities to win work. Ways of doing this include some of the ‘offline’ marketing we have already covered, other simple initiatives such as staying in touch through the likes of an email newsletter. With the right Inbound Marketing platform you should also be able to present Smart Content to clients when they return to your website. Smart Content will allow your website to automatically present different & more relevant content to visitors on their next visit based on various interactions and behaviour during their previous visits. This allows you to nurture your visitors with content they are more likely to be interested in and therefore help them make the final decision to become a client. A much better approach then presenting the same website content to everyone like 99.9% of all the websites out there. Smart forms are also a useful tool to try and learn more about your leads as your clients and prospects download more and more information and resources from your website to help them solve their problems. Why do what everyone else does and ask for the same old name and email address every time they submit a form on your website? Why not pre-populate the fields you already know and take the opportunity to ask additional questions to help you build a better picture of their requirements. 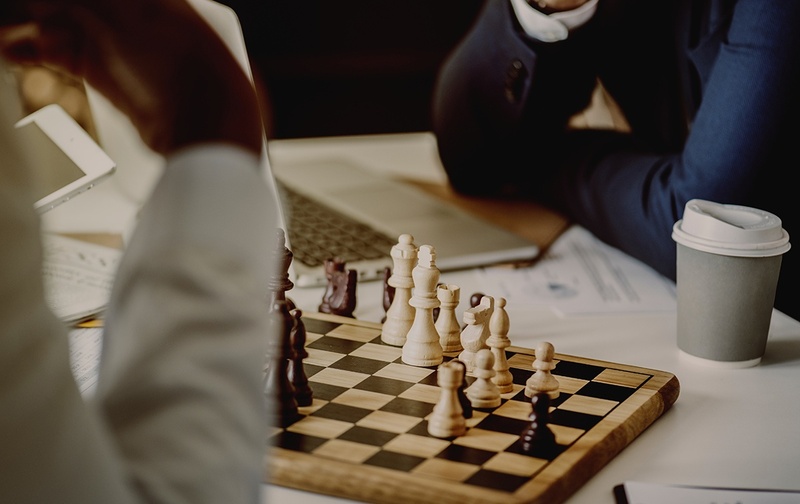 As we have seen so far, if you want your law firm’s marketing to succeed and be responsible for bringing new business to your firm, you need to take a step back and take a strategic approach to what you do. Create your plan first and define clear marketing objectives which align to the firm’s overall corporate objectives. To have a robust marketing plan in place for your law firm you will need to have completed thorough analyses to establish a baseline and plotted a course for where you want your firm to go. With this locked down and agreed it is simply a case of establishing clear plans for a series of marketing initiatives which your marketing team can implement over the course of the planning cycle. Make sure your plan has also defined the metrics it will need to track in order to assess your marketing's performance as you work towards achieving your objectives. With a solid plan in place your law firm will already be well ahead of the competition as most firms simply jump in and are quite reactive when it comes to marketing. Yes, you want your marketing to be excellent but don’t focus purely on the doing. Make sure your marketing has a purpose to it and is part of a bigger plan. There will be times when you need to react during the year and add in new initiatives but at the end of the day, having a plan with clear objectives will allow you to assess these new initiatives as they come and go. With all the fuss about marketing law firms online it can be quite easy to forget or ignore the need to market your legal business offline in the real world. Don’t listen to the people with the shiny new toys telling you that you don’t need old-world marketing and that online is all you need. This simply isnt true! It is true however that traditional marketing up until now has been quite disruptive in nature and sought to interrupt potential clients with outbound marketing techniques and tactics. It is also true that a lot of real world marketing initiatives are intangible and firms struggle to prove their worth. Despite this, at the end of the day, people still buy people and a large element of your marketing should be geared towards maximising your marketing efforts in this regard. Focus in on the activities which will help them to generate new business for your firm such as developing an event strategy to get out to meet people. Plan to attend relevant events where your audience will be, host some events around topics your audience will be interested in and aim to get your lawyers out speaking at as many relevant events as possible. Look at where your firm can sponsor activities to maximise your positioning and spread your message with the right audience. Also be sure to maximise the benefits from a sponsorship package and don’t be embarrassed to ask for too much. Join associations and become an integral part of them with the aim of eventually becoming the chair or president. If possible why not even set-up and run a sub-committee on a topic close to your heart? Employ a PR agency if necessary to help to raise your firm’s profile in the market and try to achieve coverage in the publications your audience is likely to read. Get organised and hold a central repository for firm-wide and department profiles, CVs (including tailored versions for specific sectors) and an overview of each practice area and/ or sector overview. This will help when it comes to making submissions to legal directories, such as Legal 500 and Chambers & Partners, along with preparing tender documents and client proposals for specific types of work. Another aspect of working with a PR agency and having a good source of background information on your firm, will be your ability to submit entries for specific awards. This along with several good client testimonials can provide clients with ‘social proof’ that you know what you’re doing and can be trusted to deliver what your clients need. As previously mentioned in this guide, some firms spend a lot of time and effort building beautiful websites, generating content and promoting their message on social media channels. Unfortunately many have also found that whilst they are doing this the results aren’t coming in. Yes, a law firm needs to have a modern, responsive website which provides regular content on topics of interest to your client personas. Yes, your firm needs to have a content marketing plan and be producing regular content to add to your website. Yes, your firm needs to promote this content on social media and also look at how SEO can boost organic traffic. Yes, your firm should look at Google Adwords or Social Media advertising, such as Facebook ads or LinkedIn ads? However to make it all come together and have the sum of the parts greater than the whole, you should consider implementing the Inbound Marketing Methodology at your law firm. Stop using new Marketing techniques in the old way to interrupt prospective clients. Find ways to attract your audience by writing about topics which help them to solve their pains and challenges. By making these changes your firm’s website will begin to Attract new visitors over time and by integrating a solid Conversion Path with several Calls to Action (linked to Landing Pages offering Premium Content), your law firm website will help to Convert these visitors into Leads. With the right nurturing and sales processes in place these leads can then be Closed as new clients for your firm which over time through client service excellence and further nurturing they will hopefully enter the Delight phase and become Advocates of your firm. The beauty of Inbound Marketing for law firms is that everything can be measured. Not from a "let’s point the finger" when something doesn’t work but more from a "let’s try a number of different tactics to see which one resonates with our audience" point of view. Always be testing and don’t just set up one conversion path on your website and leave it to chance. Work at it. Change images. Change colours. Change buttons. Change things this around and over time cycle through everything and try to find out what your audience responds to so that you can maximise the number of leads for your firm. 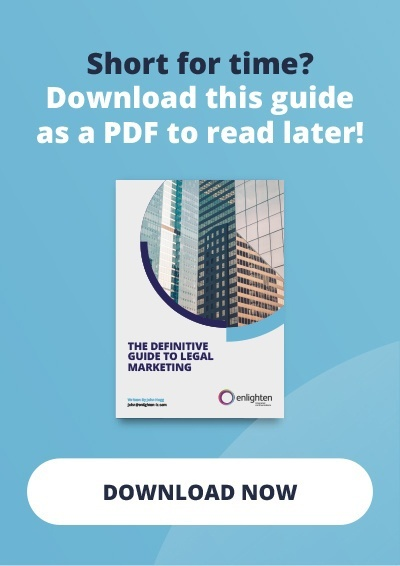 We hope you have found this “Definitive Guide To Legal Marketing” useful. We have covered a lot of ground and tried to provoke thought along the way. Don’t just jump in and let the tail wag the dog, build a solid marketing plan for your firm and through a combination of real world marketing techniques and the introduction of a solid Inbound Marketing Methodology for your law firm, you will be well on your way to generating new leads to help grow your firm and bring credibility and success to your marketing team. We appreciate that there is a lot in this Guide, and it will take time to work through it all. If having digested everything and you still have questions or you would like to discuss how you can take this forward and improve marketing at your law firm, please get in touch to schedule a free, no obligation 30 minute call to review where your firm is now and where you would like it to be.